ST. GEORGE — Holding an array of bright spinning flowers and dressed in purple, Southern Utah community members readied themselves to walk to end a “relentless” disease. 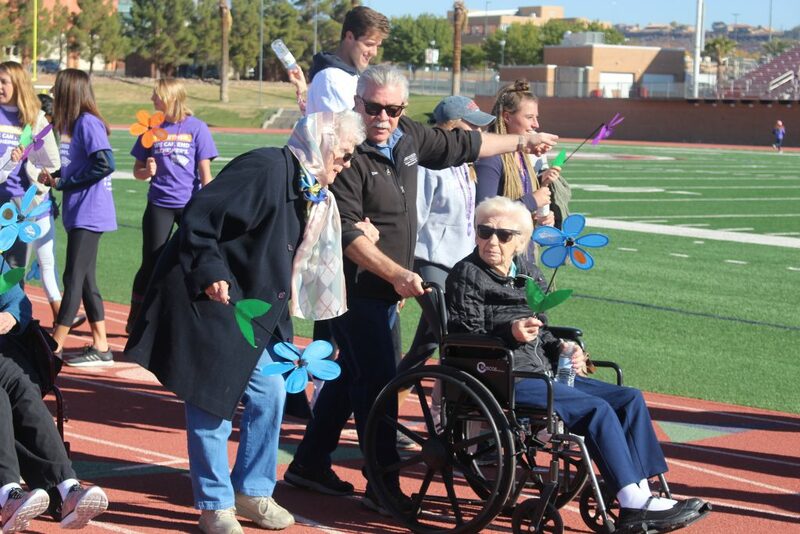 More than 450 people gathered at Dixie State University’s Trailblazer Stadium Saturday morning to walk to end Alzheimer’s disease — a disease that’s affecting more than 5 million people in the U.S., according to Alzheimer’s Association. The disease, which progressively destroys memory and other mental functions, affects 1 in 10 seniors over 65 and 1 in 3 over 85, said Mike Miller, who began working for the Alzheimer’s Association as regional manager in St. George in August. 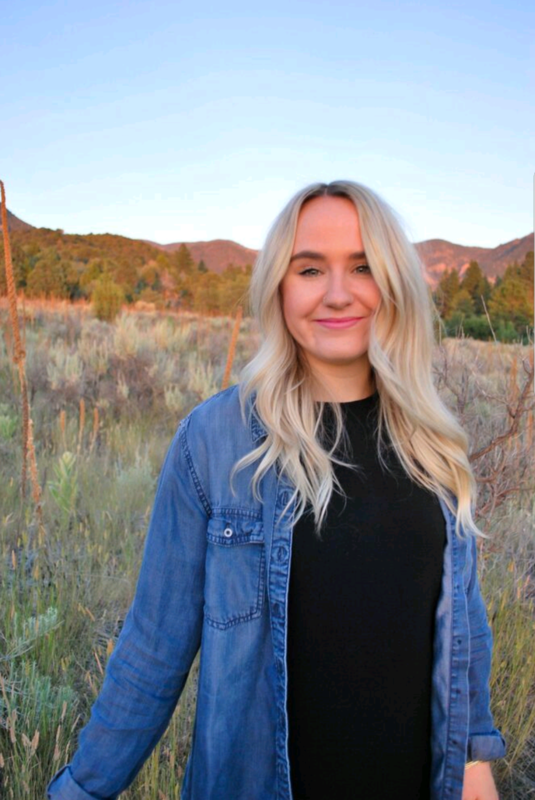 Shortly after that, the association opened an office in St. George. 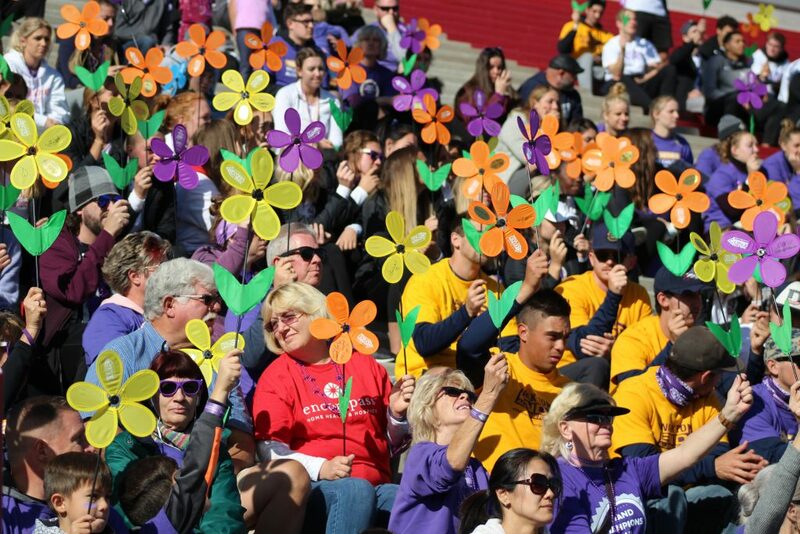 During last year’s Walk to End Alzheimer’s, around $20,000 was raised. This year’s walk has raised over $16,000 so far. 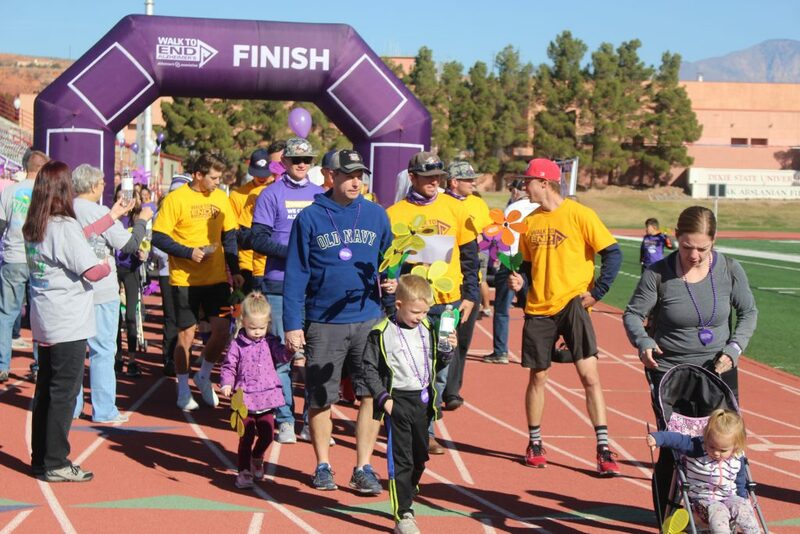 The walk isn’t just about raising funds for research and finding a cure, Miller told St. George News. 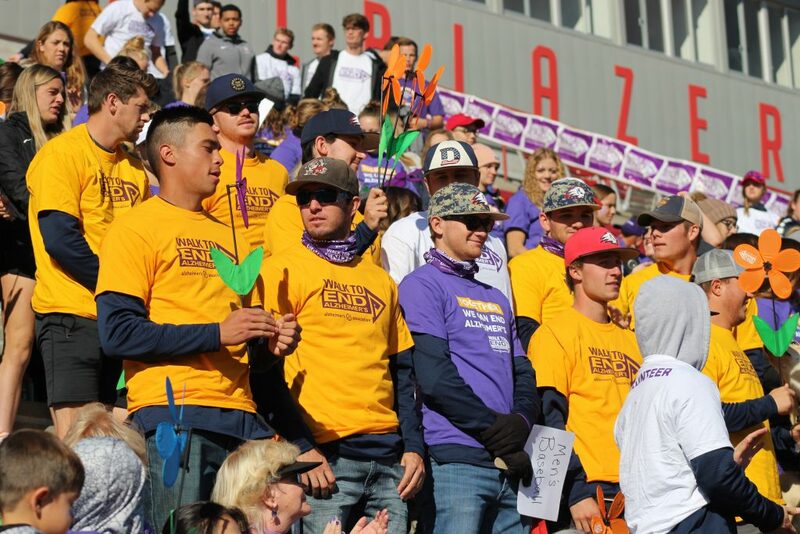 Members of the association were thankful to Dixie State for hosting this year’s walk, particularly the athletic department. Miller said multiple athletes participated in the walk as a service project. 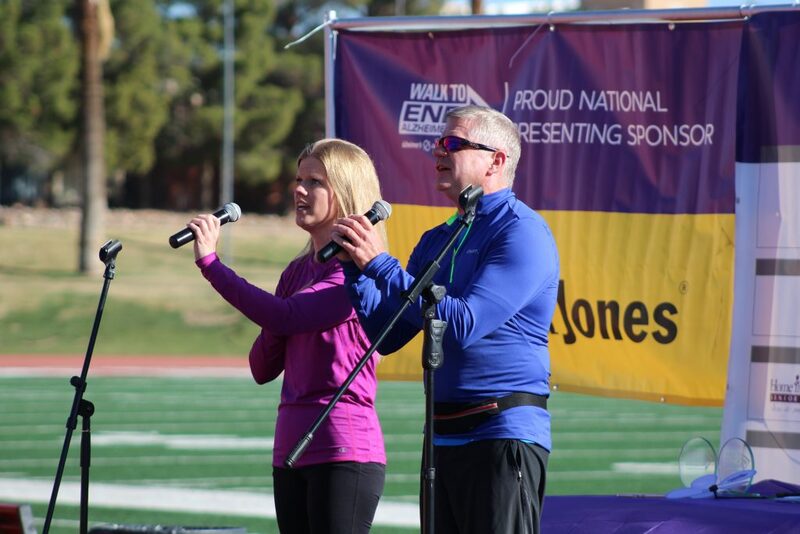 During the opening ceremony, a few people shared why the walk was important to them, including David Clark, chairman for the board of trustees at Dixie State. He lost his mother to the disease. 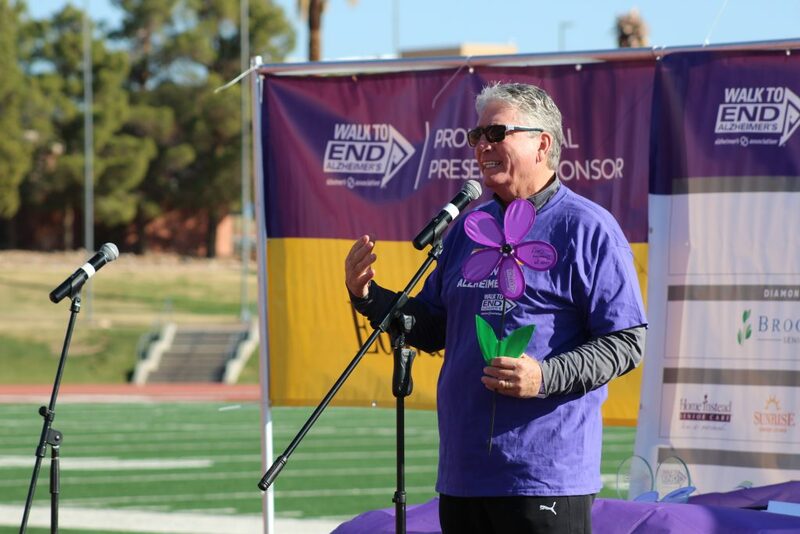 “If you had the opportunity to watch this awful, hated disease; watch someone, who always set an example for us, disappear inch by inch,” Clark said with a shaky voice. Orange: Someone who supports the cause and has a vision of a world without Alzheimer’s. Purple: Someone who has lost someone to Alzheimer’s or dementia. Yellow: Someone who is supporting and caring for someone with Alzheimer’s or dementia. Blue: Someone who has Alzheimer’s or dementia. 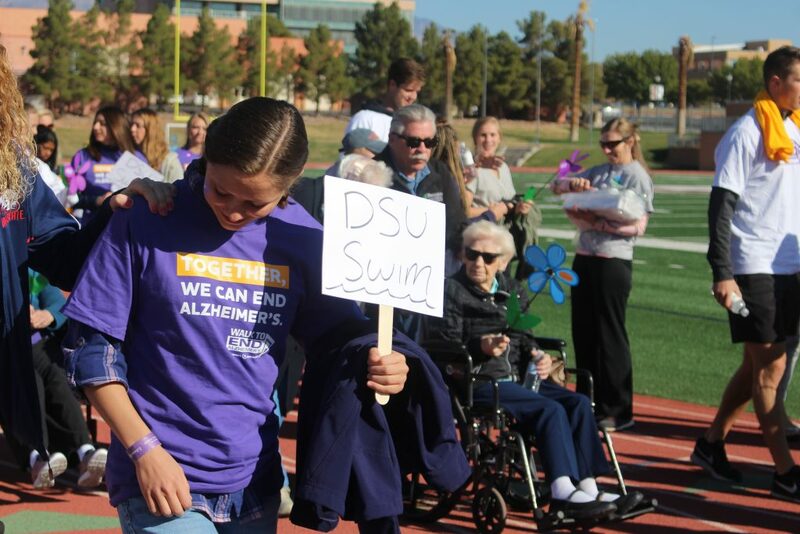 To learn more about Alzheimer’s or to donate to the cause, visit the Alzheimer’s Association website or visit the St. George office, located at 1173 S. 250 West, Suite 302.